Lawmakers Dino Melaye and Danjuma Goje attracted a lot of media attention in the past week, following two weighty allegations bordering on assassination attempts on Melaye and the raiding of Goje’s Abuja abode by a team of policemen. While the Senate has set up committees to investigate these incidents, ISAH AHURAKA YUSUF wonders about the authenticity of the claims by both men. he news went virile on Saturday, April 15, 2017, that Senator Dino Melaye, representing Kogi West, escaped an attempt to assassinate him, after gunmen attacked his home in Ayetoro-Gbede, Ijumu local government area of Kogi State. Melaye, who seized the moment to mount a soap-box to canonise and demonstrate his escape, fingered the chairman of Ijumu Local Government, Hon. Taofiq Isa, saying the attack was carried out because of his criticism of the state government. Addressing newsmen same day, Melaye said the assailants came about midnight and started shooting sporadically at his building. He said the shooting occurred intermittently with little break for more than one hour, where two of his vehicles (security car and a caravan) were destroyed. In his own narration, Dino said: “I got a rousing welcome from Kabba to my home town on Friday and I know it angered the powers-that-be in the state, which mobilised for this assassination attempt on my life. “At about midnight, we started hearing gunshots. They fired more than 200 rounds of bullets into the house. This attempt to kill me will not stop me from speaking the truth. If I speak the truth, I will die; if I lie, I will die. I have decided to speak the truth and die. I’m not afraid of death. I only respect men; I don’t fear them. “This attempt is being championed by the chairman of my local government. He had said it many times that he will do everything to stop me from coming home. Besides, those assailants, when leaving, were chanting ‘we will know if it’s Taofiq that owns the land or you’. “I am championing an administrative cause. I will continue to speak and be the voice to the voiceless. I’m not deterred; I remain resolute to make Kogi better. Nothing will stop me from coming home,” the fiery senator vowed. Melaye, who officially had six mobile policemen in his entourage and in the tradition of politically exposed persons, with a cortege of thugs to boot, said he suspected some persons collaborating with the Police Division, Aiyetoro Gbede, whom he said did not come to his house until three hours after the hoodlums had left, despite being a stone-throw from his house. “The DPO did not come to my house until three hours later. Even the area command in Kabba was not notified until I called the CP. I suspect a satanic collaboration with the police in Aiyetoro. Only God will protect us in this country but, definitely, not the police,” he added. He later disclosed before senators – just as Senator Isa Misau (Bauchi Central) transmitted in the Senate plenary of April 26 – saying that none of the six policemen and the thugs shot back at the assailants, who spent over an hour during the said ‘operation’. On April 25, 2017, the Senate said that passage of the 2017 budget has been put on hold, following the April 20, 2017 raid on the Abuja home of the Chairman of the Senate Committee on Appropriation, Senator Danjuma Goje, by the policemen; based on information provided by a whistle-blower. Speaking during the Senate plenary last Wednesday, Goje said the policemen carted away his laptop and critical files relating to the budget from his study. Also, Goje disclosed that, beside the 18 files, the sum of N18million, $19,000 and 4,000 Saudi Riyals were found and taken away from his home by the police. Goje, who raised a point of order, said the Appropriation Committee had planned to lay the budget on Tuesday for the Senate’s passage on Wednesday. “I want to apologise to my colleagues that we could not keep to the timetable you gave us to lay the budget yesterday (Tuesday) and to get it passed today (Wednesday). “It is not our fault; it is the fault of the police, because the police interfered with the whole budget process. I hope Nigerians will not turn around to blackmail the National Assembly, because the process was truncated by the police. “I am so traumatised. I don’t know which files are missing [or] available now. Some of these files have to do with the work I am doing. “Don’t blame us if the budget is further delayed, because it’s not my fault. It is not the fault of National Assembly. The police are the ones, maybe, hiding the budget now. Maybe, they are using the laptop and files to come out with the budget,” he said. Goje disclosed that the raid started around 4 p.m. while he was in the office and he called the President of the Senate, Bukola Saraki and the Speaker of the House of Representatives, Yakubu Dogara, to inform them of what was going on. Saraki and Dogara made efforts and contacted Vice-President Yemi Osinbajo and all the relevant agencies, including the Department of State Services (DSS) and the Economic and Financial Crimes Commission (EFCC) but the operation continued, Goje said. Meanwhile, Saraki constituted a committee headed by Senator Jibrin Barau (Kano North) to investigate the raid and summon the IG, Saraki also mandated the committee to look into the files with the police that are affecting the passage of the budget. In other words, if the Police report falls short of senate’s expectation or says Dino is behind the assassination attempt of himself, senate will revert to its own report. Of course, the Senate cannot be a complainant, investigator, prosecutor and, perhaps, the judge in this same matter. Furthermore, the senate directed Deputy Senate President, Ike Ekweremadu to lead a high power four-man delegation to the Kogi State governor, Yahaya Bello, to extract a promise of neutrality from him in the course of the investigation and, possibly, prosecution of the suspects in the assassination of Melaye. Bello is also to undertake that he will direct his Attorney General to issue a fiat to an independent and private legal practitioner to prosecute culprits in the assassination attempt on Melaye’s life. According to an Abuja-based legal practitioner, Alasa Ismaila, what the Senate is asking for is already contained in the Oath of Office and Oath of Allegiance Bello took before assuming his office. “This Senate is not just peopled by seasoned men and women; otherwise, it ought to know that Bello swore to the Oath of Office and Oath of Allegiance before he assumed office. The firs duty of a governor as the chief security officer of his state is to safe-guard the lives and property in his state. What if he says Ekweremadu has come to insult him and shuns the visit? He will be right for so doing,’’Alasa posited. Alasa went further: “How is one sure that Melaye wasw not the one who concocted stories of gunshots at his house? Come to think of it, over 10 hired assassins shot over 200 bullets at his house for over an hour and not even a goat was killed in his compound. None of the six policemen attached to him countered or replied these assailants’ gun shots, yet, they did not attempt to gain entrance into his house to do the needful, or what they were paid to go do, even with such huge encouragement from his security details. I think this story was not well plotted. ‘’Experience dictates that hired assassins don’t shoot asunder; they shoot on sighting the target(s),” Alasa added. According to an analyst who didn’t want to be mentioned, also said: ‘’How can assailants shoot for more than an hour without going inside when there were no security forces confronting them? Armed robbers don’t do that, talk more of those paid to do a job. ‘’The entrance doors to the sitting room and kitchen were left out in favour of the side ceilings, which Dino will spend less to repair. Dino’s theatrics have taken another bend,” the analyst said. Melaye had, in a statement on April 19, 2017, said the silence of his state governor over the assassination attempt speak volumes. 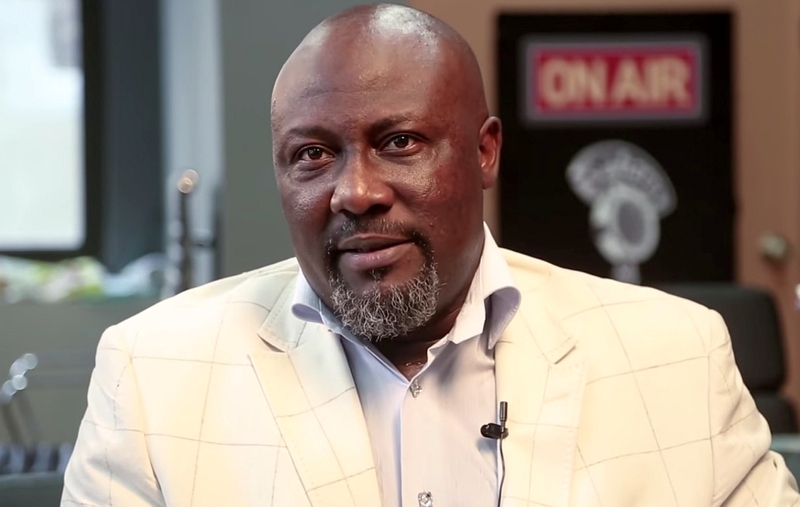 The statement by Fanwao read: “We do not want to join issues with Senator Dino Melaye. He is an adult and can explain the path he has chosen to tread. If he accused the Governor of complacency in the so called assassination attempt, those who have been following the trend from the day his group promised to make Kogi ungovernable will not be surprised. “The case is under investigation by the Police and making serious statements about it may be seen to be subjudice. We have been witnessing imaginary attacks in the state and when the Governor travelled to Kogi East, his antagonists also alleged he was attacked even when the opposite was the case. “As a government, we believe the Nigeria Police is capable of getting to the root of the allegations and do justice to it once and for all. Governor Yahaya Bello is redefining leadership in Kogi State, therefore, the plan of “One Day One Trouble” will not work. Melaye and Governor Yahaya Bello were very close, until May 2016, when the governor appointed care-taker chairmen for the 21 local governments in the state. According to the SA Media and Strategy, Abdulkarim Omuya Abdulmalik, Melaye brought in Mrs Folashade Ayoade, who Bello appointed as secretary to the state government. “But he demanded to be allowed to nominate persons as care-taker chairmen for all the local governments in the Kogi West to which the governor said ‘no’. Also, he wanted to nominate someone for his local government and the governor told him he had someone else in mind. This was all that led to Melaye’s quarrel with the governor,” Abdulmalik dislcosed. The Force Spokesman, CSP Jimoh Moshood, in a statement in Abuja on Thursday April 27, 2017, said Goje’s account of the raid in his house was false, misleading and capable of misinforming Nigerians. Moshood said items recovered include, N18m; $19,850; 9, 400 Saudi Riyals; 38 Files and six envelopes containing documents; a laptop; file on funds spent on security administration and information gathering in 2009 and none of the items included the 2017 budget document. Although Goje preemptively state at the Senate plenary of April 26, 2017 that as a big politician, he has about 50 households by the time police raided his house, meaning the large cash vault found in his house do not belong to him alone to warrant violating Money Laundering Act 2011. But the during police raid, only three adults that conducted them round the house were met. Moshood who said that Police actions were in line with the provisions of Sec. 4 and 28 of Police Act and Regulations, disclosed that among the files taken away is the file containing details on “how former Kano State governor, Ibrahim Shekarau plotted the assassination of Sheikh Jafaru; and that ”further investigation was ongoing into the matter. The late Sheikh Ja’afar Mahmud Adam, one of the Nigerian’s foremost and respected Islamic Scholar, was murdered while leading the Subhi (early morning) prayers in his Kano residential Mosque on Friday April 13, 2007; at a time Goje and Shekarau were governors of Gombe and Kano states, respectively. Moshood again warned Goje during a breakfast television show titled, ‘Sunrise Daily’ on Channels Television, that he risks police arrest, if he continues to ignore its invitation. Moshood said: “On the day the house was searched, a call was put through to him (Goje) by Ango Usman, who is the housekeeper, confirming to him the presence of the police team. He (Goje) said he was coming on that day but he switched off his phone afterwards. “The following day, which was a Friday, one Nura got in touch with the police investigator and said they were coming on Friday with their lawyers to the police headquarters to meet with the investigators but they never did. Later, they called that they would come on Monday but they never did.